Standing behind the child with a stern expression, parents will do just about anything to ensure their children brush and floss on a regular basis. Much to the parents' efforts, children still seem to attract tooth decay or infection. The risk of tooth decay for children can even begin before they reach the age of 3. While a child becomes more capable of brushing his or her teeth without a parent's assistance, the child may not properly brush or reach all of the necessary areas of the mouth to remove plaque. If most adults cannot reach the areas they need to, then a child will definitely not be able to reach every area with a toothbrush and allow plaque to build up over time. The food particles a child misses with a toothbrush will feed the plaque on the teeth, which will help to promote tooth decay. We understand that balancing a family schedule with work, school, chores and extracurricular activities can make it difficult to ensure a child brushes his or her teeth at least twice a day. 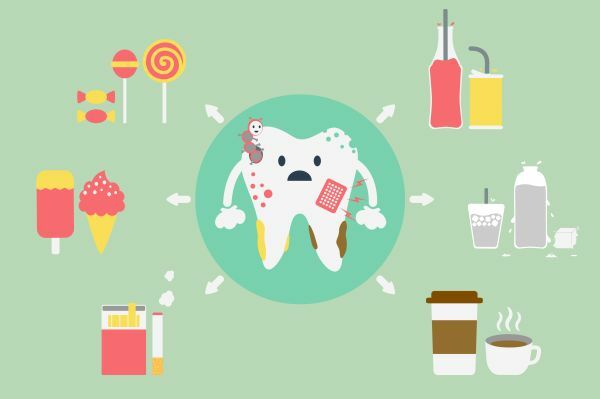 Due to common dietary habits, the possibility of cavities forming in children becomes much higher and more common than some people may realize. Fortunately, dental sealants can help children grow up with healthy teeth and prevent tooth decay. Most parents, upon hearing about a dental sealant procedure for their children, think, "There's no way my child will remain calm or even want to set foot in the dentist." With the care that we provide, parents do not have to worry. Not only is the sealant procedure painless for the child, but we also have the experience to help keep a child comfortable during this procedure. Dental sealant is like little defenders on a child's teeth and is a liquid solution that quickly hardens as we place it on the top of the teeth. The dental sealant hardens within seconds of placement and is long-lasting. Dental sealants can last up to 10 years and protect the tooth enamel from decay. A dental sealant will also prevent any decay on that tooth from spreading further. We understand that regardless of the procedure, children may be uncomfortable visiting a dentist. As a pediatric dentist, our team can help children feel more comfortable at the office and creates a welcoming atmosphere from the waiting room to the dental chair. We will complete the dental sealant procedure in a safe and efficient manner. Q. Can dental sealants protect my child’s teeth? Q. Is brushing the teeth enough to keep my child’s teeth healthy? Q. What are dental sealants? Q. What do dental sealants do? Q. What is the process for getting a mouth guard? Q. Does my child need regular fluoride treatments? Dental sealants are a solution of plastic material that we apply to the crown of the tooth to protect the areas within the ridges of teeth from infection. A dental prophylaxis is a thorough cleaning procedure that involves preventing the spread or continued growth of periodontal disease and gingivitis. Etchant is a gentle acid to treat the surface of a specific tooth to help the filling material stick to the tooth. Occlusion describes the mandibular and maxillary rows of teeth meeting when the patient bites down. If a patient does not have a healthy bite, they are struggling with malocclusion. An overjet is a bite orientation that results from the maxillary central incisors (top center teeth) protruding over the mandibular central incisors (bottom front teeth); this may also be known as “buck teeth” by patients. Pregnancy gingivitis is gingivitis that results from the common change in hormones during pregnancy that increases blood flow to the gum tissue, increasing sensitivity, irritability and swelling in the gums. Irina Moga, DDS was established in 2004. We are committed to providing quality healthcare to families located in the Beaverton area and treat patients of all ages. Copyright © 2019 All Rights Reserved Irina Moga, DDS.